Berberis gracilis Hartw. ex Benth. 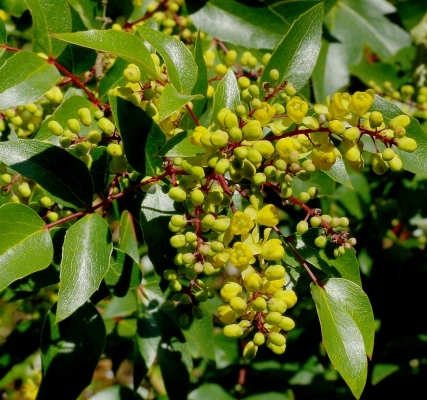 Mahonia gracilis is a small, evergreen shrub growing 1.5 - 3 metres tall. The edible fruit is sometimes gathered from the wild and eaten locally.